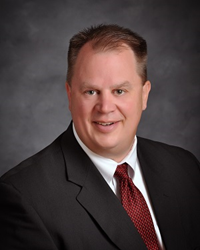 Brian Sherrick, President/CEO of Ideal Credit Union, has been appointed to the Federal Reserve Bank of Minneapolis’ Community Depository Institutions Advisory Council (CDIAC). Sherrick will serve a three-year term on the 13-member council, which acts in an advisory capacity not only to the Minneapolis Bank, but also the Board of Governors in Washington, D.C.
Brian Sherrick, President/CEO of Ideal Credit Union, has been appointed to the Federal Reserve Bank of Minneapolis’ Community Depository Institutions Advisory Council (CDIAC). I am honored to be named to this prestigious council and to bring Ideal Credit Union’s perspective and insight to the Ninth District. - Ideal President/CEO Brian Sherrick. Prior to his promotion to President in 2012, Sherrick served as Executive Vice President Operations/Lending at Ideal, where he had oversight of mortgages, commercial services, business development, marketing and more. Sherrick also serves as chairman of the Ideal Community Foundation, and sits on the Board of Directors for the Minnesota Credit Union Foundation. He started his career at the credit union in 1984. Founded in 1926, Ideal Credit Union is a member owned financial institution that specializes in providing excellent member service, great rates and convenience. Ideal CU offers a complete range of services, including a full suite of electronic banking products, savings, checking, loans, mortgage, exclusive VIP member payback, business services, investment services and more. Visit http://www.idealcu.com for details and locations.